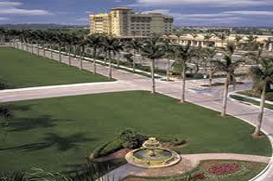 Bathed in South Florida’s famed sunshine, Coral Springs is a fine city in Broward County. Offering close proximity to nearby towns and cities like Miami, Plantation, Cooper City, Boca Raton and Coral Gables, it is one of the most convenient and easily accessible cities in the South Florida region. Coral Springs real estate is renowned for its prestige as well as its great deals on property and real estate for homebuyers. The city boasts a wide range of home choices for prospective homebuyers and real estate investors. Coral Springs real estate offers many beautiful single-family homes and townhouses as well as multifamily homes like apartments and luxury condos. The city’s real estate market is robust and filled with options suitable even for the most discriminatory of homebuyers. Coral Springs plays host to a plethora of upscale subdivisions and gated communities, each with its own unique atmosphere and offerings. A top subdivision is Glen Oaks, a community that boasts large, prestigious homes and a quiet, picturesque setting. Alta Vista, meanwhile, offers scenic views and an idyllic atmosphere ideal for leisure and relaxation. Yet another fine community is Maplewood, a large subdivision that offers everything from stately villas to magnificent estate homes to charming townhouses. The Broward County Public Schools District serves Coral Springs, offering top-notch public education and an outstanding academic reputation. Excellent schools within the district include Coral Springs Elementary School, Coral Springs Middle School, Coral Springs High School and Atlantic Technical Center High School. Coral Springs boasts a robust economy marked by strong wage growth and diverse employment options for jobseekers. Top employers and firms in and around the city include First Data, Royal Plastic Group, Alliance Entertainment and Florida Atlantic University. Major attractions in and around the city are the Coral Square retail center, the Coral Springs Center for the Arts, the Our Town Festival and the region’s wealth of beaches, golf courses, museums and galleries.